Poll closed Sep 30, 2014 . The nug must be your own, either purchased or grown. 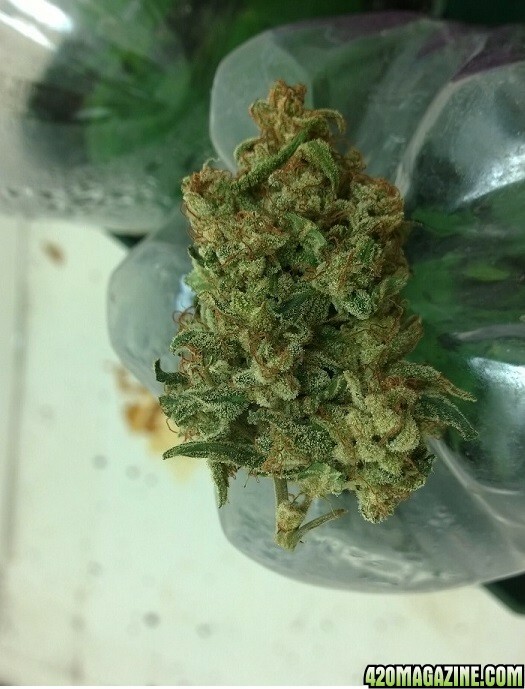 Optionally, we'd love to hear about the strain, taste, aroma, potency, effect, weight or any other frosty details that you're willing to share. The contest will be open for submissions from the 1st through the 15th day of each month. Once all submissions are in, we will begin voting for a winner. Winners are announced on the 1st of each month. 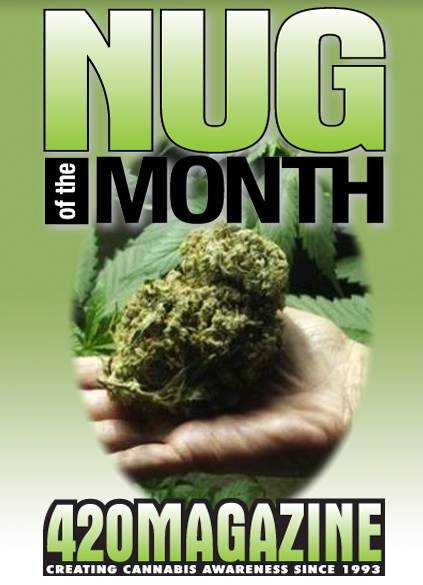 The winner earns 100 rep points, "Nug of the Month" title and a 420 Magazine Nug Jar! Sierra Natural Science Contributes All Of The Following Items To Our 420 Contest Winners. HBI International Contributes All Of The Following Items To Our 420 Contest Winners. Smoke Cones Contributes All Of The Following Items To Our 420 Contest Winners. 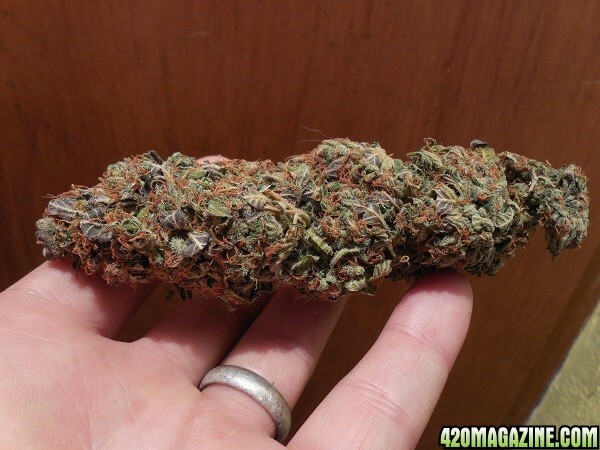 Monthly winners are automatically eligible for our prestigious "Nug of the Year" contest in January. 1. Contest entries must be original photos of your own nug. 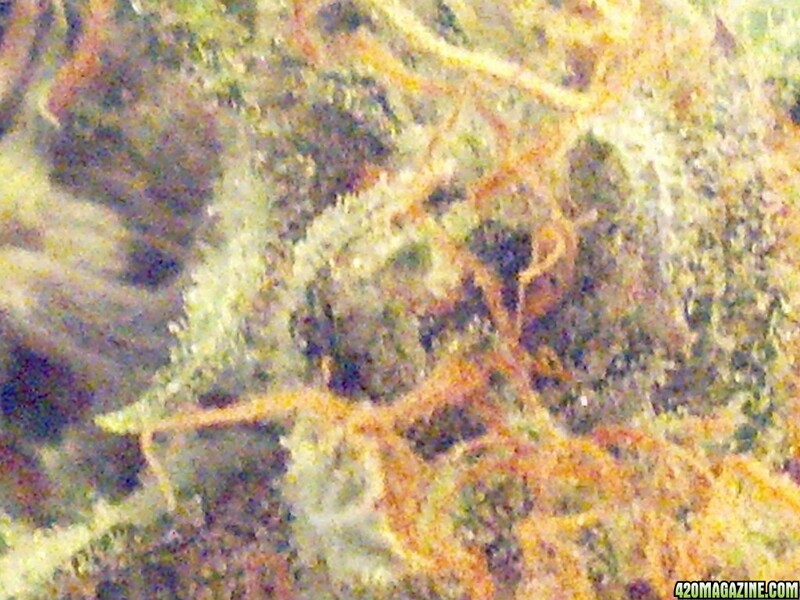 The nug photo may include several nugs or a cola. 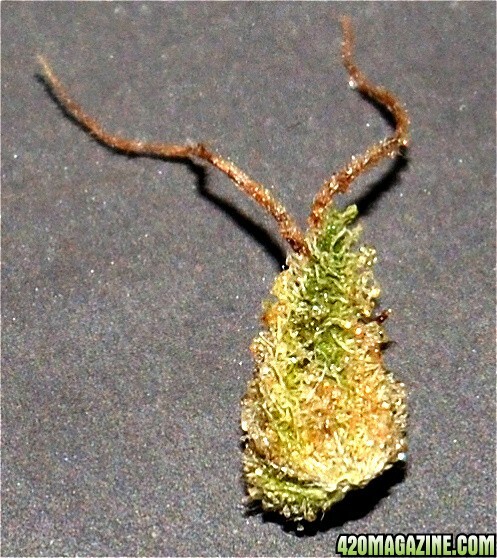 This nug may be grown by yourself or purchased at a legal medical Marijuana co-op, collective or dispensary. 2. Entries must include ONLY photos of the nug. But you may add one photo as a reference point for size or a closeup/macro. 3. Maximum of two photos per member. Both photos must be of the same strain or batch of nugs. Updating photos throughout the month is not allowed. 4. Remember to upload your photo through our Photo Gallery before posting it on this thread: Photo Gallery Guide - How to Resize, Upload &amp; Post Photos. 5. Nugs must be "dry" and in "ready to smoke" form. 7. Competition is open to the first 25 entries. 8. Promotion (i.e. campaigning) for yourself or a friend, or any attempt at voting more than one time per person (i.e. multiple user names, etc.) is considered cheating and is prohibited. Cheating in any form will result in a permanent disqualification from all future contests. 9. Editing Photos: You may resize and/or crop your photos, however adding text, images and effects are prohibited. This makes it a fair contest for all, as not everyone can afford photo editing programs and/or know how to use them. Cured kinda pretty. Bright orange & colors. Smell is awesome. Skunk Mass, an impressive automatic from Advanced Seeds, very high and taste, yummy!!! BLOGS - Visit my Blog to see what I'm "cannabing" now. Unknown strain. Grown by me. Heavy stone with a sweet taste. Critical Blue, a strain I bred and grew. It has a sweet smell and very head high. The nug weighs 7.5 grams dry. Whoa Cola. I concede man. That is stunning. You're strain? Sweetest tasting Girl scout Minty Bubba Kush. Perfectly cured and dried. Trim Job to emphasis purple tones. 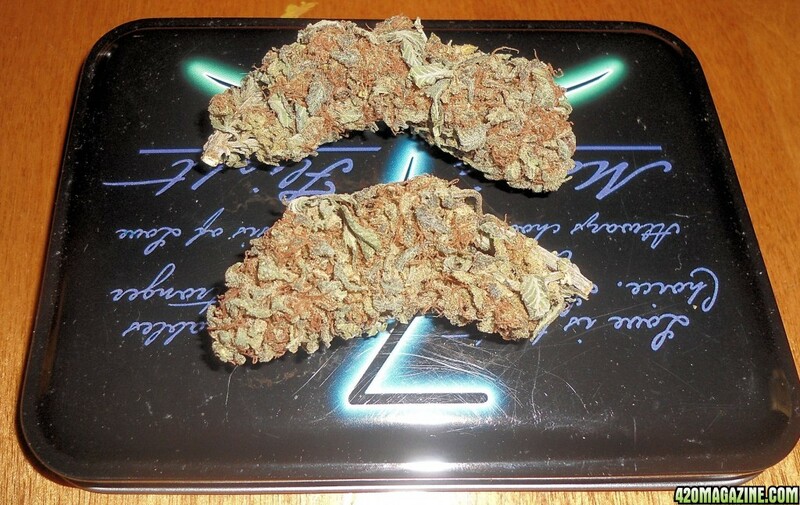 Effect - It will leave your body all tingling as the Indica works its way down to your toes that bubba kush does. The Durban Poison/GSC heritage rushes to your head with a euphoric head high. This hybrid strain is amazing for pain relief and to have closure on the day. It will make you smile and just feel like hugging everything in sight as you are gently put to sleep or a super heavy couch lock for at least 1hr. Wish I didn't lose my phone but this the only pic I could find via cloud backup. Barney's Farm Red Dragon - grown in organic soil/nutes. Very sweet and fruity aroma and taste. Potent and long-lasting. So here is my entry Micky Kush grown from seed. I popped a 10 pack of seeds and got the main 3 pheno's. 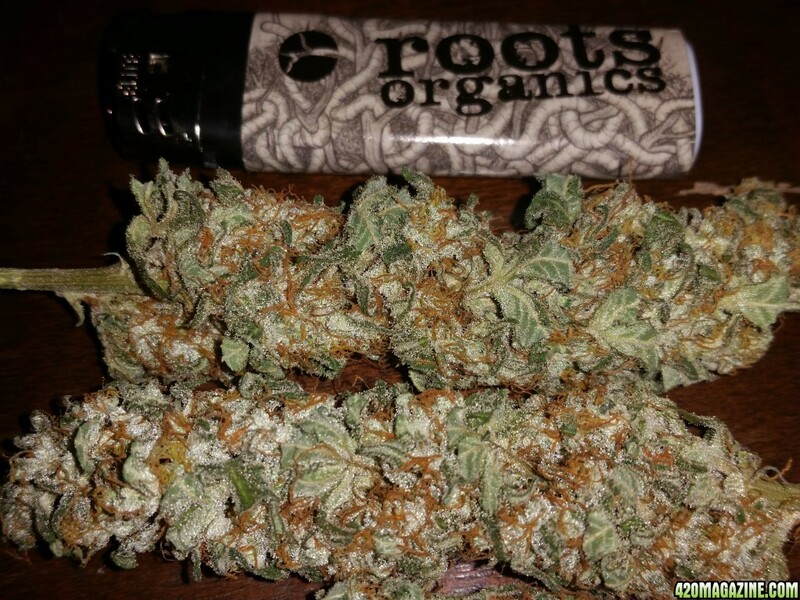 These two photos show the Sativa and Indica dominant of the strain Enjoy! Contests!! Make sure to be involved and VOTE! I have been growing and clone forwarding this plant "S girl" (a hash bud plant) for many generations over years. She is very potent, with varying flavors depending on growing conditions but pine usually comes through. Always hard dense nuggets that always satisfy even after you have tried a couple/few strains prior. You guys and gals are creating one amazing showcase!! I'm still waiting for you to come burst our bubbles. Do you have to sit this month out cause of your win? I wouldn't want to burst anyone's bubble or frustrate anyone! I'm sure it would be worth it. What up everyone! 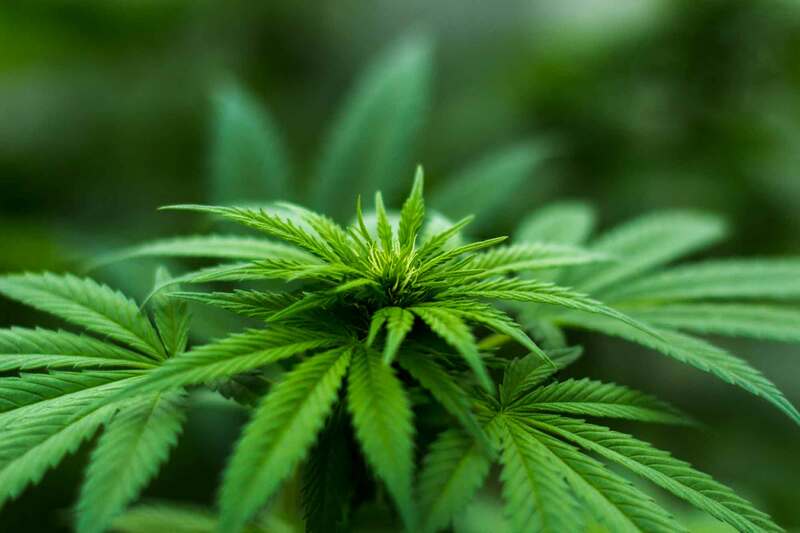 I would consider myself to be somewhat of a cannabis connoisseur and have been on a dispensary road tour over the past few years stopping by every shop (med and rec) in the state to try out their most sought after flowers.....a lot of highs and lows on this journey<see pun. Have a pretty nice bud collection and try to keep my hands on the best harvest from the top growers/dispensaries around Colorado. Mostly a sativa guy and like the strongest of head highs but also have an huge appreciation for just plain old fashioned beautiful looking pot - regardless of the high. A lot of times those sort of colors and smells only come from indicas. The indica that I'm showing here today is called Purple God Bud and is a creation from "The Bank" seed bank here in Colorado. 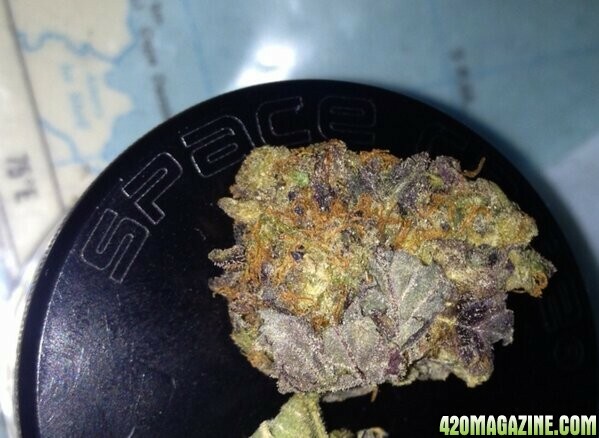 Crossed between Purple Urkle x Grape God Bud. 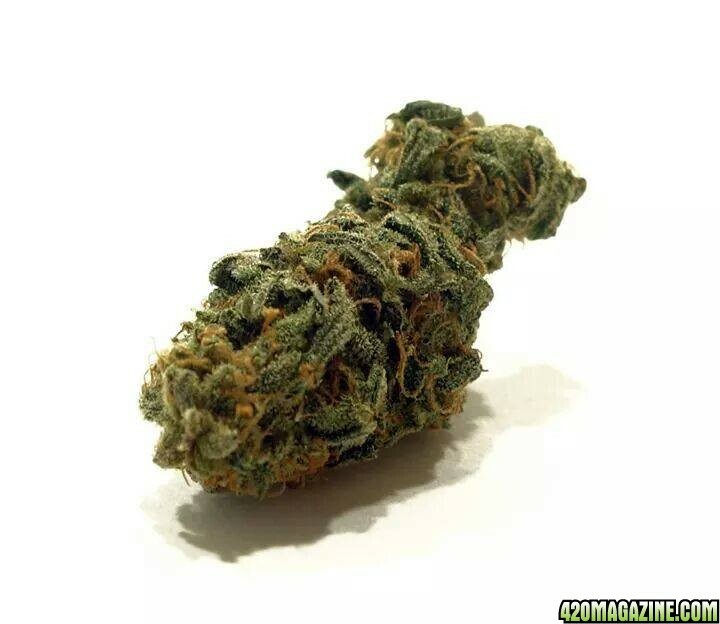 "The Bank" is a joint venture between "The Clinic" dispensary and "Reserva Privada" of Colorado. Both extremely reputable companies and put out high quality products. The clinic dispensary is in my top 5 dispensaries (not #1) and is notable as I've visited over 100 shops over the years. I can't decide what's better about PGB - the look or smell....if you could only smell this you would understand the obsession. I don't have too many favorite strains as I like trying new stuff but this is so much of a must have that I picked up seeds for my next grow. 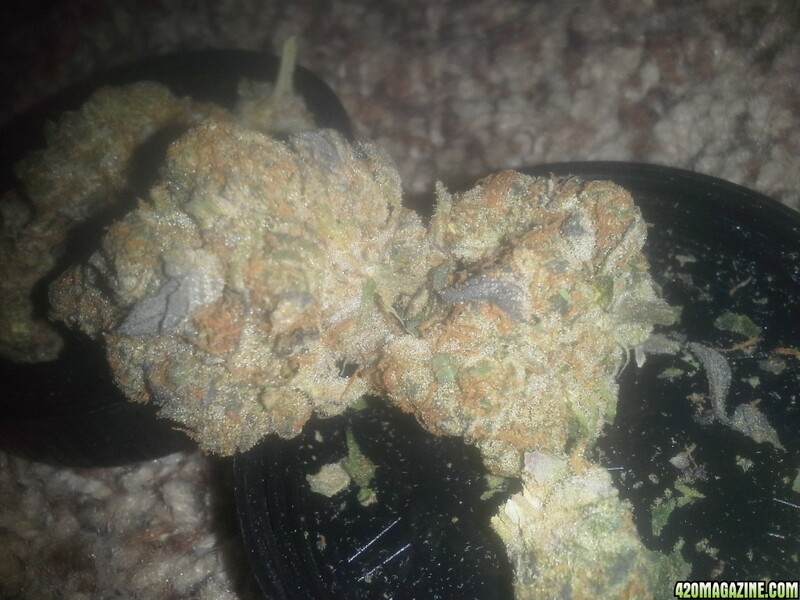 Smells very fruity but faint sour to it and ooooohh so creamy (as one user describes), but not like Fruity Pebbles strain if you've had that...more sour to it but very faint....like smelling sweet berry cake yogurt. I say cake as in the crust because it has that extra sweet kick to it like they added too much sugar or something. You might get confused and accidentally eat it thinking it was a berry strudel. Wish you just smell the damn thing...lol. I open this jar every few days to smell it regardless if I'm reaching to smoke something else. Also make friends that comes over look and smell it too…even if they don’t smoke. Oh and by the way IT LOOKS BEAUTIFUL TOO!! Thanks and Enjoy!